Sand Creek Bridge, Harper Co.
With the demolition of the US 64 bridge over Buffalo Creek a year or two ago, this is the only truss bridge in Harper Co. Built in 1904 it is also the oldest bridge in Harper Co. Since the day I came to photograph the bridge was the day before deer season opened, I was unable to actually walk up to and on the bridge, so the following two photos were taken at a distance. This is a simple riveted Warren with verticals pony truss of four panels, 54 feet in length. Overall, it looked to be in good condition. 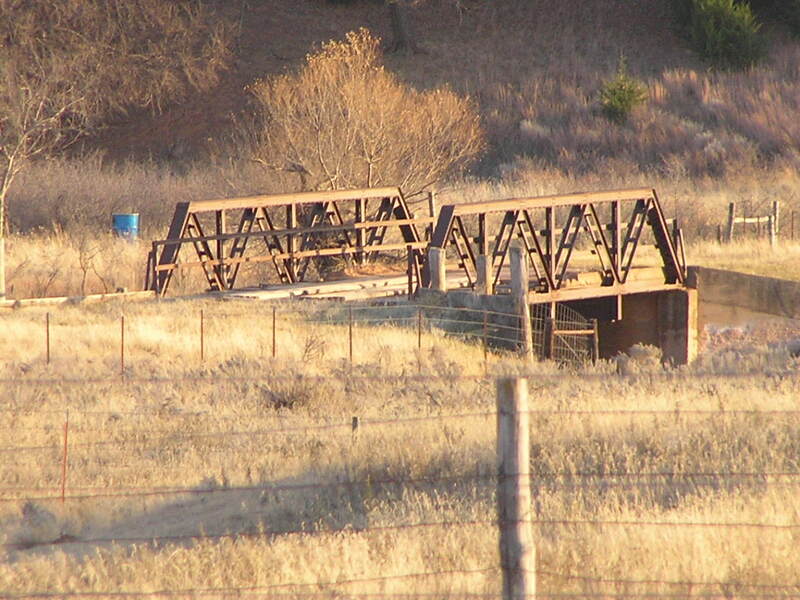 This bridge is located on NS1940 Road 1.5 miles south of EW0200 road. Above, the bridge as viewed from the north. Note the south abutment is concrete, while the north abutment. is wood. 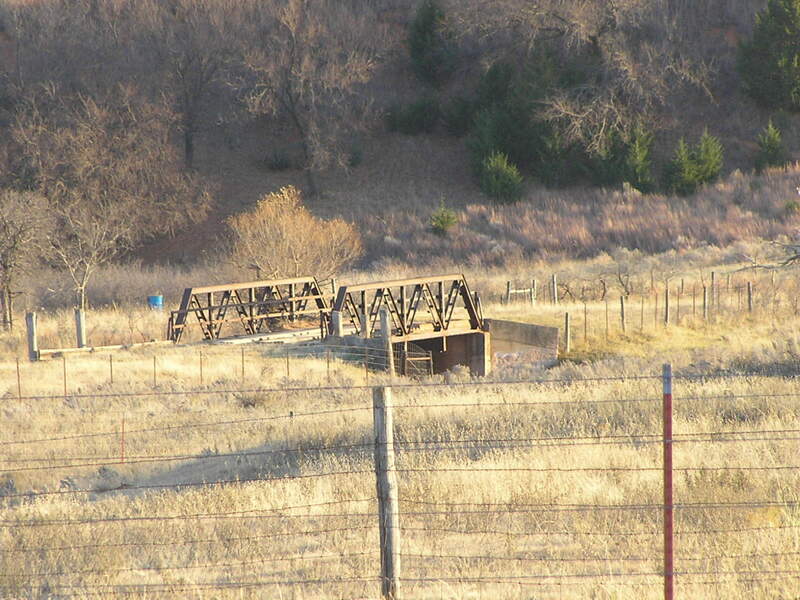 It may be very likely this bridge was moved here in the 1930's or 1940's. Below, a close-up of the span. The deck is wood with running boards, and the bridge sports simple railings made of channels. Since the bridge is semi-private now it sees very little traffic on a closed section line road.